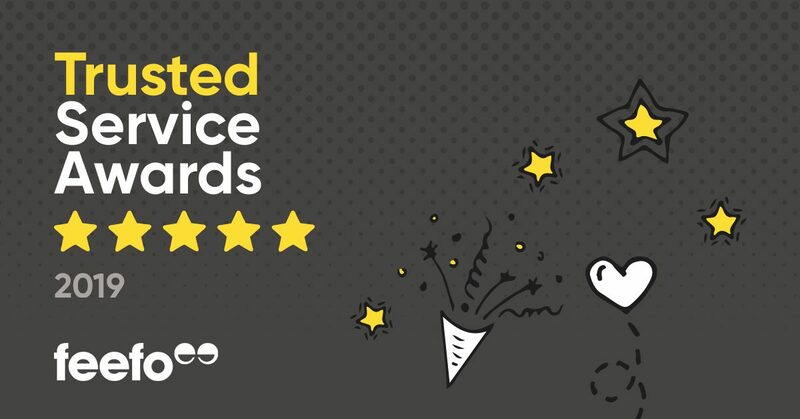 Saint Louis, Missouri – February 12, 2019 – Reserve Direct has won the Feefo Gold Service award, an independent seal of excellence that recognizes businesses for delivering exceptional experiences, as rated by real customers. Created by Feefo, Trusted Service is awarded only to those businesses that use Feefo to collect genuine reviews and insights. Those that meet the high standard, based on the number of reviews they have collected, and their average rating, receive the award. A badge of honor, this accreditation remains unique, as it is based purely on the interactions with real customers. As all reviews are verified as genuine, the accreditation is a true reflection of a business’ commitment to outstanding service. Reserve Direct met the criteria of collecting at least 50 reviews between January 1st, 2018 and December 31st, 2018, with a Feefo service rating of between 4.5 and 5.0. Since 2001, Reserve Direct has provided more than 3 million travelers with travel planning and reservation services for ticketed events, world-renowned theme parks, area attractions, tours, theatrical shows, as well as hotels and lodging in 20 destinations across the country. Using a proprietary booking engine, Reserve Direct customers can access first-hand content and reviews to plan, customize, and book entire vacations within a single transaction. In addition, the Company also provides reservation and packaging fulfillment services for destination marketing organizations and travel suppliers through white label versions of their system. Reserve Direct is based in St. Louis MO and currently operates dedicated destination websites in Branson, MO; Pigeon Forge and Gatlinburg, TN; Myrtle Beach, SC; Williamsburg, VA; New York, NY; San Diego, San Francisco and Los Angeles, CA; Chicago, IL; Las Vegas, NV; the Hawaiian Islands; Washington, D.C.; Tampa, St. Augustine and Orlando, FL; San Antonio, TX; Sandusky, OH; Charlotte, NC; and Toronto. A trusted partner of Google, Feefo’s technology and consultancy team possess unique expertise and business insight, enabling brands to employ cutting-edge innovation that optimizes the delivery of digital marketing and advertising.